The shop features “toasty” warm sandwiches, salads, soups, chili, and shakes and smoothies. And a friendly crew! The Sriracha Black Bean Soup was just spicy enough to enhance its deliciousness. I want more! If you’re a milk shake fan, try the coffee flavored shake. Or maybe get chocolate and coffee mixed for a mocha shake. And would you believe that a sandwich shop has live entertainment? Yep. Everyday between 11:30 a.m. and 1:30 p.m., there are live music performers! Nice touch. The manager at the O’Fallon Potbelly is Mike Wright. Owners are Todd and Angie Stimson. They also have Potbelly Sandwich shops in Creve Coeur (on Olive in the old Provisions location) and in Clayton (on Bemiston in the old Fatted Calf location). Their next Potbelly is set to open in late summer in St. Charles near Lindenwood University. By the way, the name comes from the potbelly stove that was in the original Potbelly Sandwich Shop in Chicago. It was an antique store that began serving lunch to their shoppers and, before long, they were better known for their food than for their antiques. Potbelly Sandwich Shop in O’Fallon is open at 11:00 a.m. each day. It closes at 9:00 p.m. Monday through Saturday and at 8:00 p.m. on Sundays. For more information, click HERE. Companion Baking has opened its new café in the Westport area. The location is 2331 Schuetz Road in Maryland Heights. Hours are Monday through Friday, 6:00 a.m. to 3:00 p.m. and Saturday and Sunday, 7:00 a.m. to 3:00 p.m. The new restaurant Boundary is set to open February 8 at The Cheshire. It replaces the Restaurant at the Cheshire. Click HERE for more. The name is inspired by the Cheshire’s location on Clayton Road which straddles the city/county boundary. Tequila Dinner at Cantina Laredo! Cantina Laredo, the new Mexican restaurant in Clayton, is hosting a Tequila Dinner on Wednesday, June 17, 7:00 p.m. 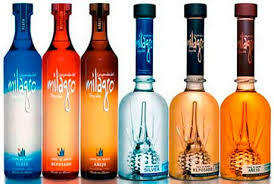 The three-course meal will feature three different Milagro brand tequilas, selected by Cantina Laredo chef Sean Scott to complement each course. 2nd course: Choice of Filet Pasilla served with potato confit and sautéed green beans or Sea Bass Oscar served with a chili lime sauce and asparagus. 3rd course (dessert): A special Dia y Noche flan (a “day and night” chocolate flan). Cost for the dinner is 49.99. Advance reservations recommended. Call 314-725-2447. 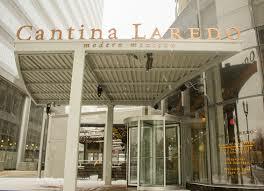 Cantina Laredo is located at 7710 Forsyth Boulevard in Clayton in the Centene complex. Cantina Laredo will offer its tequila dinners four times each year: one per season and will feature a different tequila brand at each dinner. 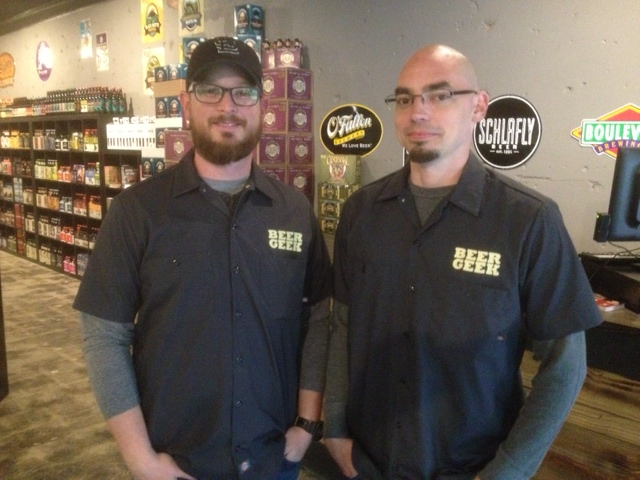 Regulations prohibit Ryan and Brandon Nickelson (pictured below), owners of the new Craft Beer Cellar in Clayton, from saying that they are giving away free beer. However, they will be giving away a free gift to their first 1,000 customers who make a purchase when they open to the public on Saturday, May 17, at 10:00 a.m. And, if those gifts are like the ones handed out to those who attended a preview event this week—and the rumor is they will be—each gift will include a six-pack of various beers. 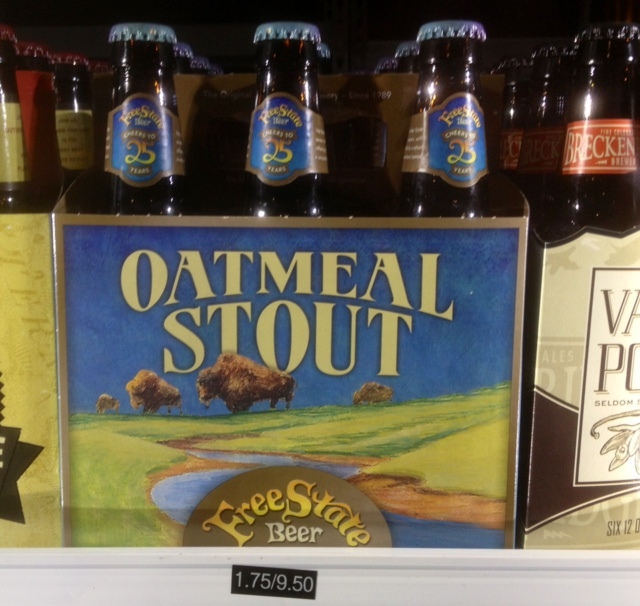 The store, located at 8113 Maryland Avenue in Clayton, offers a huge variety of craft beers. 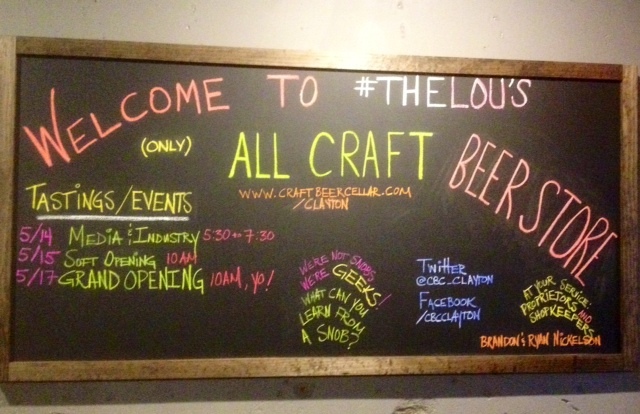 St. Louis beers—Schlafly, 4 Hands, Six Row, Urban Chestnut, etc.—are represented prominently. 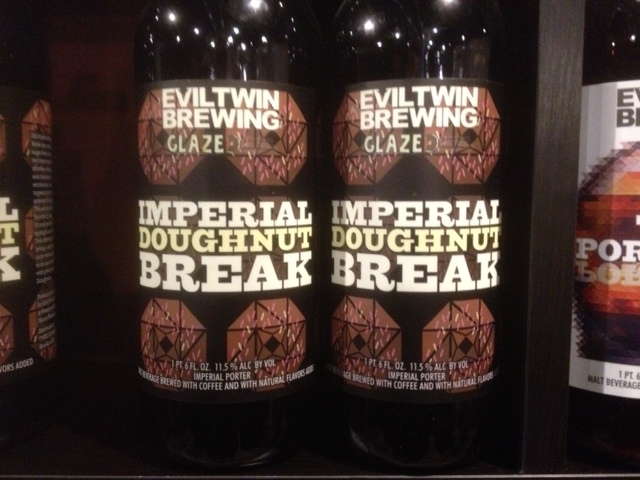 Among the other beers at the Craft Beer Cellar are these pictured below. 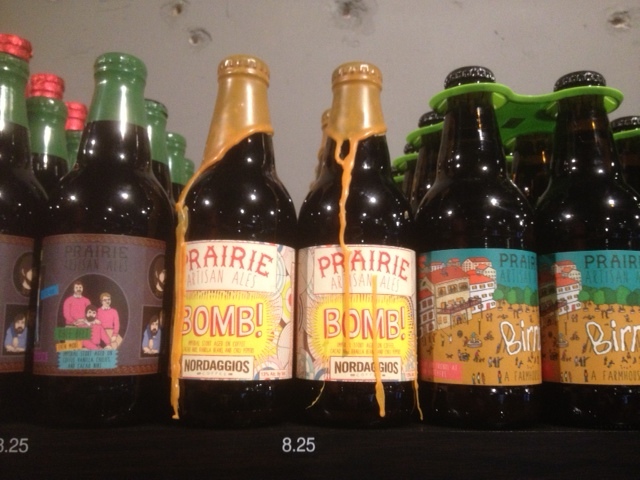 But it’s not likely that you’ll walk out without finding a beer, or several, to take home. As mentioned, the choices are immense. 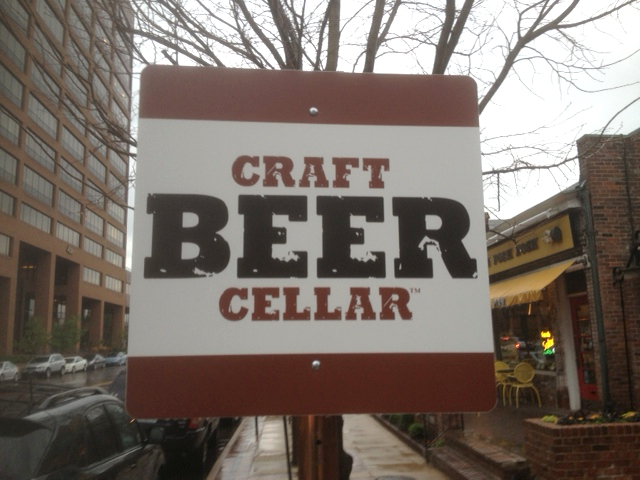 And, along with Ryan and Brandon, their team is well-informed and enthusiastic about craft beer. If you ask for guidance or a recommendation, you’ll get it. 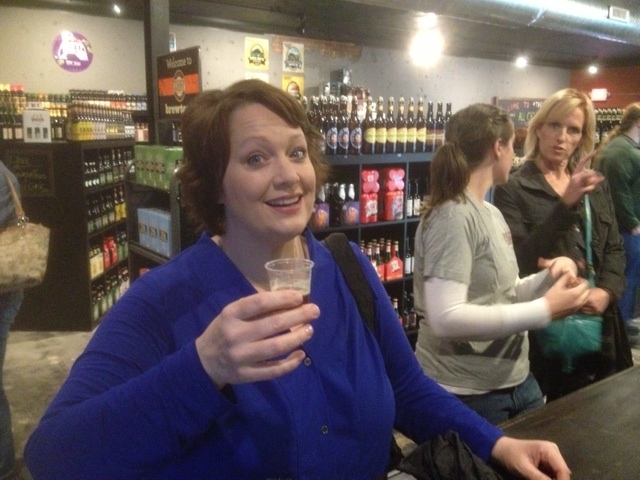 If you, like my friend Cindy Collins of KLOU radio (pictured above), enjoy craft beer, you may want to check out the Craft Beer Cellar. And do it Saturday. You just might get some free beer! Many restaurants have spectacular wine dinners. 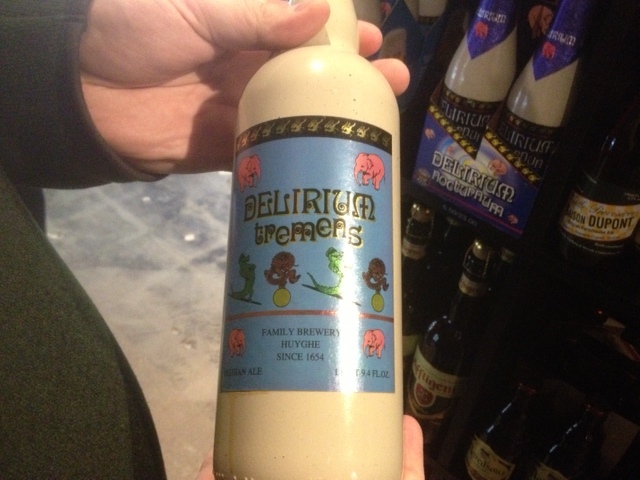 Some offer intriguing beer dinners. We’ve even seen the occasional whiskey dinner recently. Now, here comes a Spring Coffee Dinner at the Ritz-Carlton on Saturday, May 17. 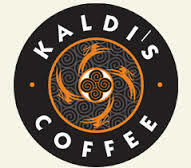 The meal will feature Kaldi’s coffees in each course. Menu items include coffee-glazed pork belly, coffee-rubbed beef tenderloin, halibut sauced with coffee beurre blanc and coffee créme brulée. Click HERE for the complete menu. Paired coffee cocktails and Urban Chestnut beers will accompany the meal. Cost is $150/person plus tax and tip. A portion of the evening’s proceeds will go to the Ronald McDonald House. For reservations, call the Ritz at 314-719-1433. The Ritz-Carlton, St. Louis is located at 100 Carondelet Plaza in Clayton.